“All Aboard as we Journey to the North Pole!” The Journey to the North Pole is a magical voyage to the North Pole through the White Mountains. 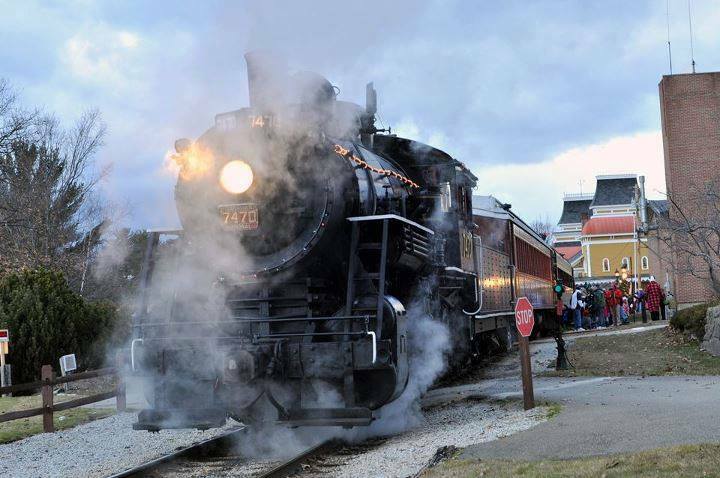 Formerly known as the Polar Express North Conway, this truly unique adventure departs each Friday and Saturday night beginning the last weekend in November and includes a wonderful evening train ride, a bunch of elves, and, of course, Santa himself! You can only reserve your spot on the train through a lottery drawing or a lodging sponsor like the Green Granite Inn. We make the experience extra special for our Polar Express passengers. Kids and adults will cherish this experience for years to come. Your magical journey to the North Pole has just started and we hope to continue to make it happen! All aboard! Santa will be waiting.